Been a while since I last posted so firstly; happy new year! 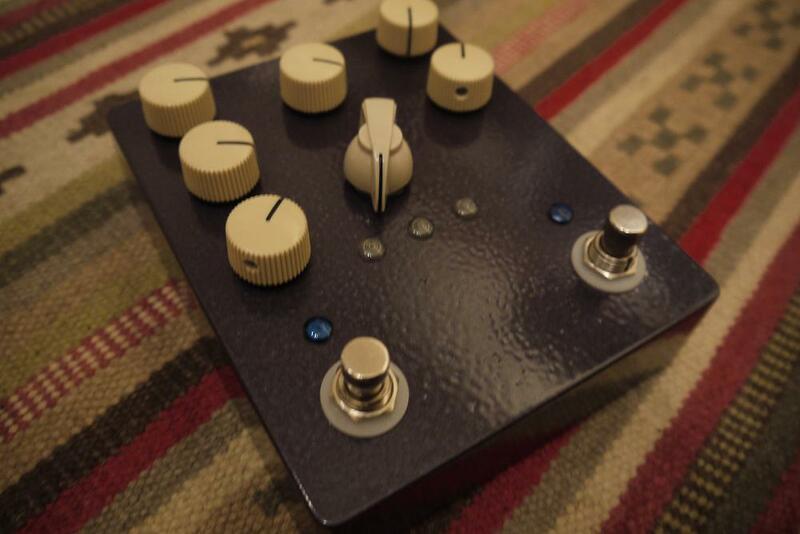 Just before Christmas I completed a custom build comprising of 3 circuits, switchable by rotary control, with standard latching and momentary bypass footswitches. The guy I made the pedal for was really nice and had a very clear view of what he wanted in terms of the circuits and the pedals operation; which made things very easy for me! The 3 circuits that he decided upon were a treble booster (with frequency control), a ‘SHO’ style booster and an ‘Eternity’ style overdrive circuit. The photos below were taken at various stages of the build. Shielded wiring was used on the input and output connections to reduce noise. The finish is purple hammerite; achieved through the old school method of mixing the red and blue versions! Picture of the enclosure after the purple hammerite had been applied. 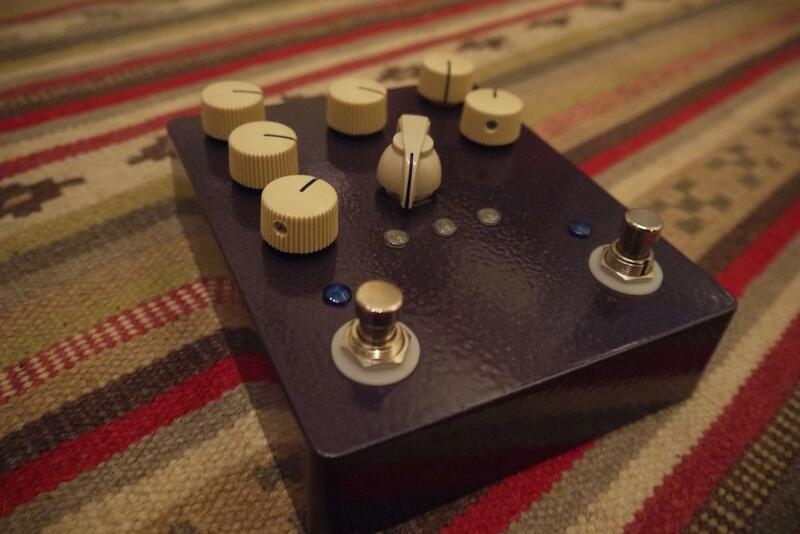 I was really pleased with the result and have used the same finish on some of my own builds; Prince would love it thats for sure! 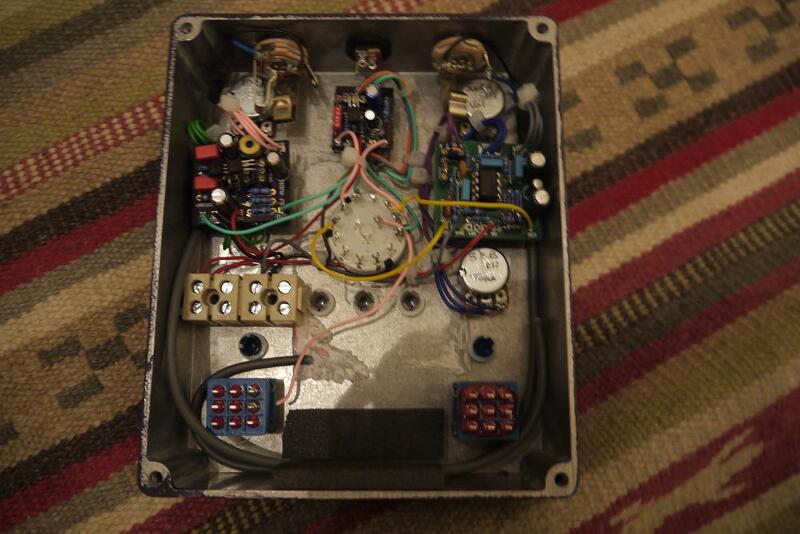 Enclosure with most of the wiring done, excluding the bypass footswitches. 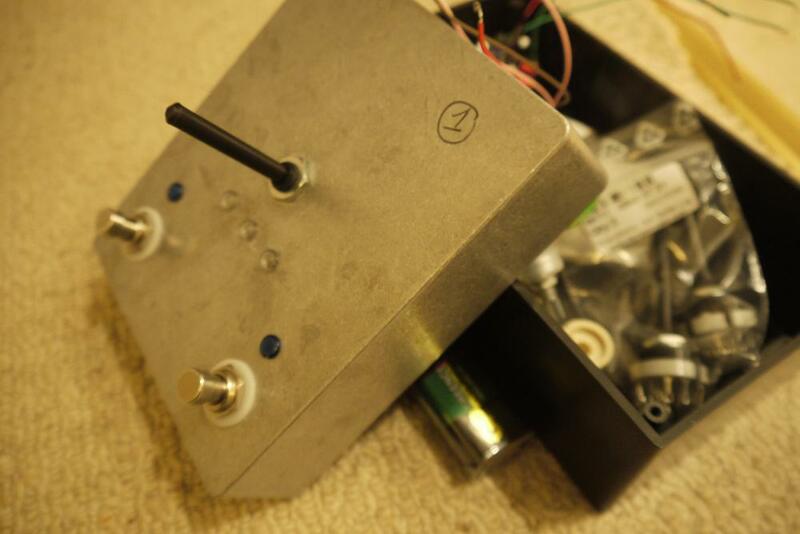 The thicker grey cable on the left and right hand side of the enclosure is the shielded cable connecting to the input and output jacks. The wiring took a while to complete for this beast! The finished article, the customer was really happy with the result, and came to pick it up in person which was really nice. I don’t usually get to meet customers so it was great to get a chance to chat with him! 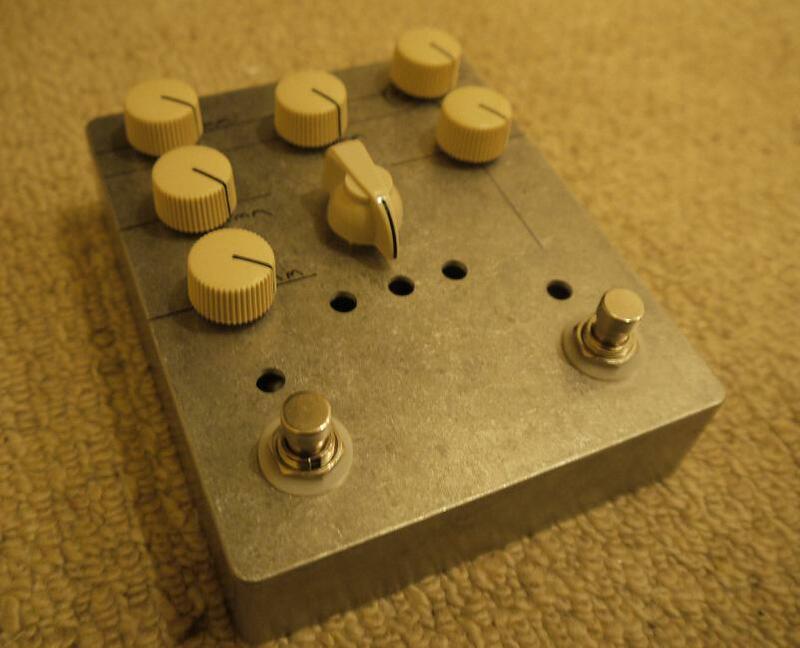 If you have any custom effect in mind that you would like building please do not hesitate to contact me; be it a simple Fuzz Box through to a complex beasty like the one pictured above!